A Deck of Cards like no other! What are the Equipment Cards? During the creation process equipping a character can be a time-consuming task. 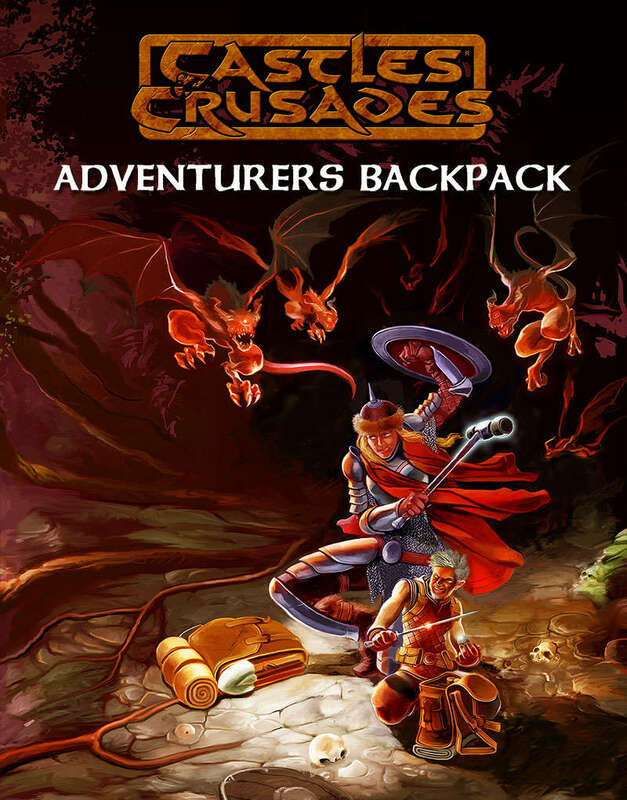 To speed the process up, the ABP will include 34 different backpack options that include basic and expert dungeon backpacks, basic and expert overland backpacks and class related backpacks. Each backpack comes equipped with what your character needs to plunge into a world of adventure. All merged in one amazing DECK of CARDS! Each of the 52 playing cards comes with a list of special backpacks and all its contents! There are 34 different backpacks! Each of the backpack cards contains equipment designed for specific terrain, character classes or specialties. wow, these cards, for sure not for the vision impaired. Very small red print and yellow highlights on white backgrounds. Question reason for having normal playing card suits on them? How about going to Tarot size cards? When i handed these out almost everyone laughed and searched for something to read the print, usually our games are not in bright daylight well light rooms. Good idea, but in the print version not functional. Can you guys go bigger? A sample card would have been nice. I would describe myself as "intrigued but unclear." Thomas -- I am going to include more information on the site tonight, but here is the gist of the cards: What are the Equipment Cards?